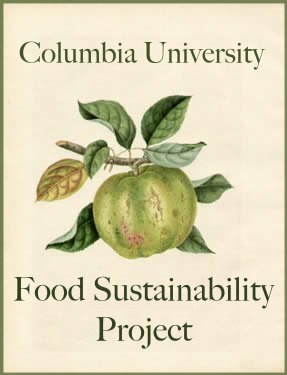 Columbia University Food Sustainability Project: Garden Updates! If you haven't been by the garden recently, check it out! It is looking great - there is an abundance of lettuce, peas, radishes and even some raspberries! The herb garden is thriving and there are beautiful sunflowers. We have a great group of volunteers this summer who have been working hard. Right now we have a couple projects going on... first we are working on weeding and creating better paths on our newest plot (the north-east plot). Next, we are starting up the compost again. So please bring your compostable items to the first metal bin as you walk back in the west plot. Make sure to turn the compost. Please click here to check out what can and cannot go in the bin. We are hosting a workday July 7th at 6:30pm for some early evening gardening. We will be continuing to weed and clean up the north-east plot. Hopefully we will also get some more mulch on the paths. Please come by and help out! If you are interested in working with kids at the Grant Houses this summer please email Becky at rmd2154@columbia.edu and check out: http://grantgarden.blogspot.com She is working on creating a colaborative summer cirriculum about gardening + farming.